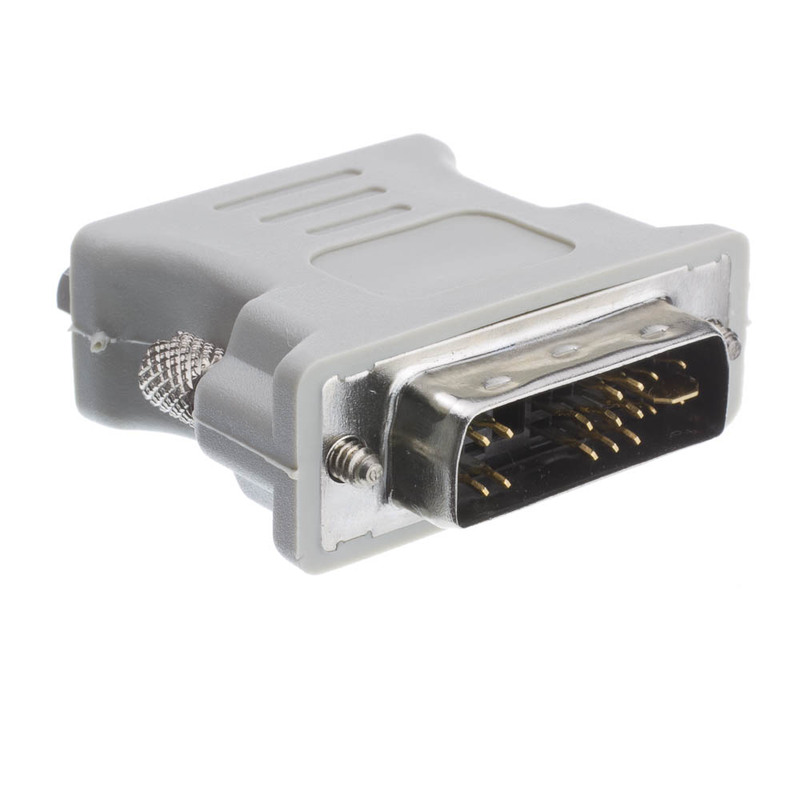 This converter converts the analog DVI signal from any graphics card into an analog VGA signal of the same resolution, allowing for the connection of DVI Analog or DVI Integrated (DVI-I) graphics cards to traditional VGA displays. Compatible with any of our DVI-A or DVI-I cables. More Product InfoThis device will convert a DVI-I connection to a VGA monitor cable connection for monitors and computers that require it. DVI-D can not convert to VGA. Only DVI-I can be converted into VGA. The video adapers were perfit for the job; shipping was great, received the adapters earlier than project to arrive. Vender was outstanding in all areas. We need more venders like one. Ordered the wrong item. It would be nice to have a better view of the business end of the item. Great price and delivery. I just need to understand which product will fit my needs! Well-made and a great price for these adapters. Can't go wrong with these. Very fast shipping. The product arrived quickly, and was well packaged. Very high quality. I am using it on my own business / personal system, which I would not do if it was not the best.